Traffic offences rarely undermine democracy. In Zambia, however, the government’s pursuit of a high-profile traffic offender has done just that. On April 8th a convoy of cars carrying Hakainde Hichilema, the main opposition leader, did not stop on the side of the road to make way for a motorcade carrying Edgar Lungu, the president. Two days later police raided Mr Hichilema’s home and whisked him to prison. 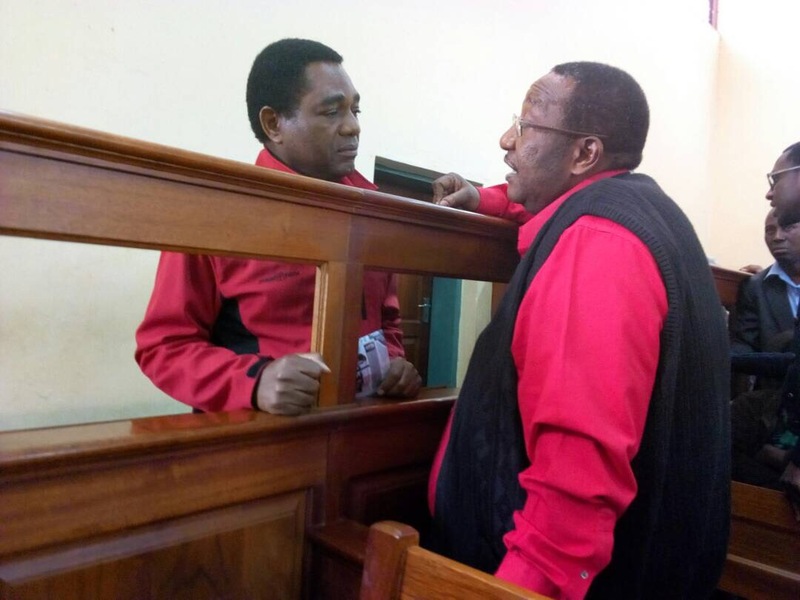 On June 8th a magistrate sent the case to the High Court, where Mr Hichilema (pictured) and five others face charges of treason for allegedly putting the president’s life at risk. Mr Hichilema, a businessman, denies the charge, saying it is motivated by “hatred” and “political competition”. In politics, as on the road, Mr Hichilema has not been giving way to his rival. He continues to dispute the results of a presidential election held last August. Official tallies gave him 47.6% of the vote and Mr Lungu 50.4%. A court challenge from Mr Hichilema was thrown out on a technicality, but he continues to press his case. Mr Hichilema’s arrest underscores a broader attack on democratic institutions taking place under Mr Lungu. A feisty independent newspaper, the Post, was closed last year, ostensibly because it had not paid its taxes. This month 48 opposition MPs were suspended from the legislature after they refused to attend a speech by Mr Lungu. The Catholic Archbishop of Lusaka has said the country is now a “dictatorship” in all but name. Mutale Nalumango, the chairwoman of the opposition United Party for National Development (UPND), says the ruling Patriotic Front (PF) is “working towards a one-party state”. Zambia has seen worse. For 27 years after independence, it endured incompetent single-party socialist rule under President Kenneth Kaunda. But the country opened up to multiparty democracy in 1991, after the cold war ended, and for much of the time since then it has been reasonably democratic. Power has changed hands twice at the ballot box. Until recently political violence was unusual, but several people were killed during last year’s election and the police beat up opposition supporters. Against this backdrop, Mr Lungu is gearing up for a third term in 2021. The constitution allows only two, but Mr Lungu’s supporters insist that his first term does not count because it was not a full one: he came to power in 2015 after the death of a predecessor. The constitution is conveniently ambiguous on that point. Even if Mr Lungu does run again, he may struggle to win. His government has to make spending cuts to plug a budget deficit of 7% of GDP, the result of low (though improving) prices for copper, the country’s main export. It is in talks with the IMF and is already raising fuel and electricity prices in anticipation of a deal. Zambian democracy has survived setbacks and cheap copper before. But right now the hands on the steering wheel seem rather reckless.